Pathala Bhairavi is a 1951 Indian bilingual fantasy film written by Pingali Nagendrarao and directed by Kadiri Venkata Reddy. 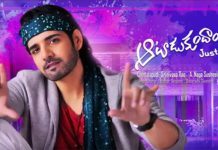 The film was produced by B. Nagi Reddy and Aluri Chakrapani under the banner Vijaya Vauhini Studios. It was co-written by Kamalakara Kameswara Rao and features N. T. Rama Rao, S. V. Ranga Rao and K. Malathi in the lead roles. 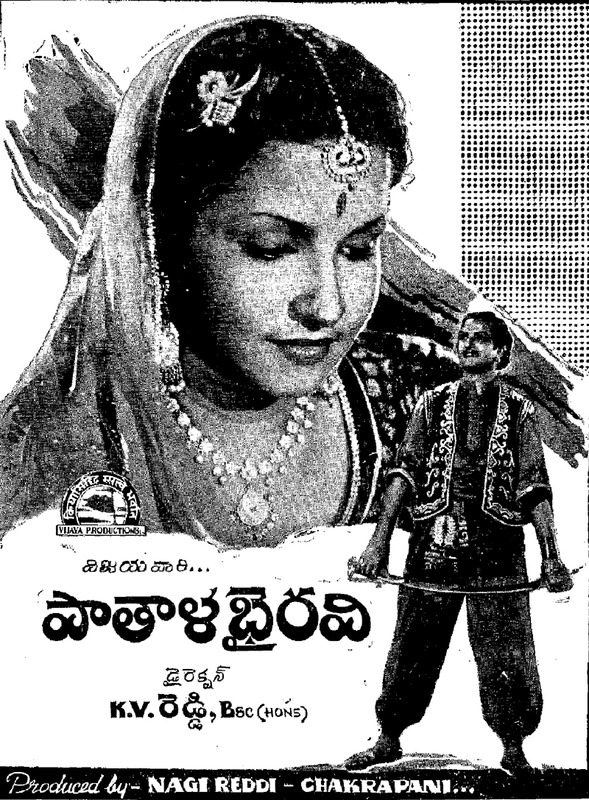 Pathala Bhairavi is based on Kasi Majilee Kathalu, written by Madhira Subbanna Deekshitulu, though it was also partially inspired by the story of Aladdin. 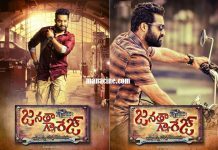 The film centres on the lives of two strangers — the son of a gardener named Thota Ramudu who has to amass wealth equal to that of the king of Ujjain to marry his daughter Indumathi, and a sorcerer who has to sacrifice an intelligent and brave young man to Goddess Pathala Bhairavi to gain access to a statuette which can grant any wish. The sorcerer tries to sacrifice Ramudu but gets killed by the latter who wins the statuette and fulfils his goals. 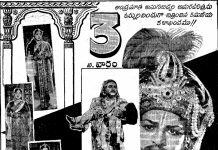 When the sorcerer comes back to life and kidnaps Indumathi along with the statuette and all of his wealth, Ramudu fights back for them and kills the sorcerer before marrying Indumathi. 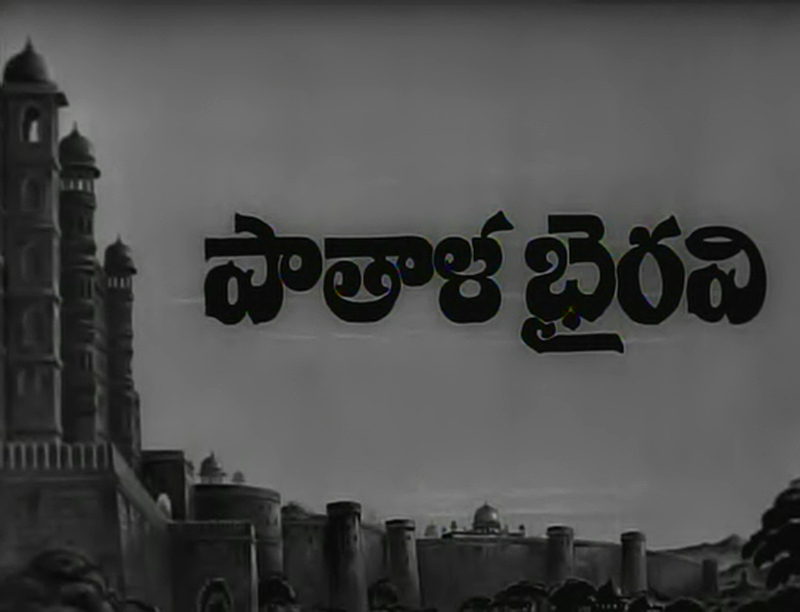 Although principal photography only took eight to nine months, the production phase continued for a whole year starting from 5 February 1950 until 8 February 1951, due to the film being shot simultaneously in Telugu and Tamil. 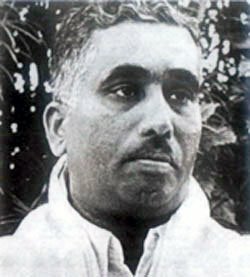 Ghantasala composed the film’s music and Marcus Bartley served as the cinematographer. 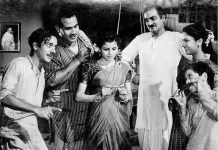 The film was edited by the duo C. P. Jambulingam and M. S. Money, while Madhavapeddi Gokhale and Kaladhar were the film’s art directors. The Telugu version was released on 15 March 1951, and the Tamil version on 17 May 1951. Both the versions were released with a final reel length of 5,227 metres (17,149 ft). 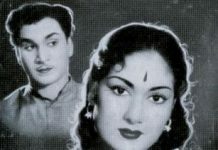 Initially, Venkata Reddy had Akkineni Nageswara Rao in mind for the lead role.He later wanted to cast Raja Reddy in the lead role but replaced him with N. T. Rama Rao in the last minute, who made his debut by playing a minor character in Mana Desam (1949).Rama Rao was eventually signed as a part of his four-film contract with Vijaya Vauhini Studios after Venkata Reddy was impressed with Rama Rao when he met him on the sets of Samsaram (1950).With this film, Rama Rao became the first actor to have acted in two languages simultaneously. 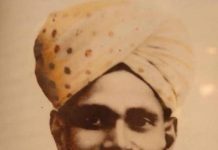 Mukkamala was initially considered for the role of the sorcerer, the film’s antagonist. 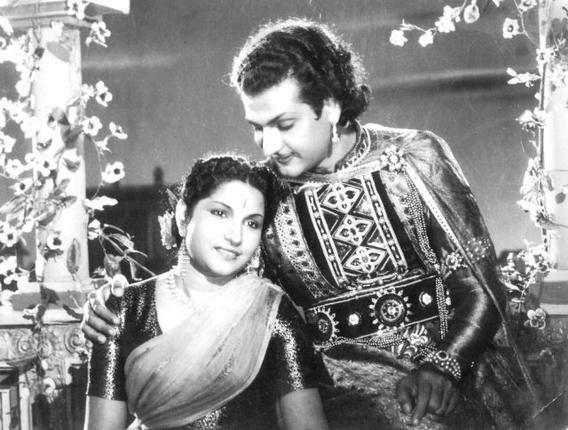 But with Rama Rao being signed as the protagonist, Venkata Reddy wanted to cast an actor without an image, thus S. V. Ranga Rao was signed.Ranga Rao wore costumes reminiscent of a Shakespeare’s anti-hero and used the catchphrase “Sahasamsayara Dimbhaka” (Be adventurous man).He used the same persona that he used for playing Shylock when he was a stage-artist.Muthudhuta Peethambaram, who joined Vijaya Vauhini Studios in 1945, helped Ranga Rao take on the appearance of a 105-year-old man with the use of make-up.Haribabu assisted Peethambaram in the make-up process. 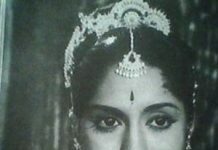 Malathi, who had earlier acted in Venkata Reddy’s Bhakta Potana (1942), was signed to play the female lead role — Indumathi, the princess of Ujjain.Girija played the titular role of goddess Pathala Bhairavi.Relangi Venkata Ramaiah and Balakrishna were signed to play supporting roles; the former playing the role of the brother-in-law of Indumathi’s father played by Chilakalapudi Seeta Rama Anjaneyulu and the latter playing Rama Rao’s sidekick.Padmanabham was signed to play a supporting role as well.Savitri did a short dance sequence in the film.